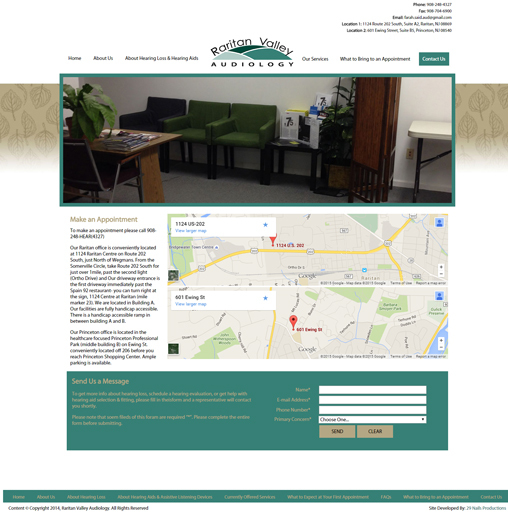 Creating a website for your personal or business needs can be a daunting task. Even more so can be the process of selecting the right developer to help you bring your vision to life. Here at 29 Nails Productions, we strive to make the development process as hassle free as possible for you. To that end, we’ve compiled a list of some of the most frequently asked questions regarding our practices and policies to help guide you in making the right selection for you project needs. Firstly, clients (that’s you!) contact us with their development specifications and any other related information describing what their looking for in their project. After thorough review of your information a price and turn-around time estimate will be provided. Upon agreement on a price and delivery time, there will be a contract and other supporting documentation to sign after which 29 Nails Productions must be provided with any and all materials necessary to complete the project. For example, this could include and of the following, without limitation: text, image, and/or video content desired for inclusion, logo(s), access to the appropriate hosting accounts/server. A 50% deposit is also required for all projects. Development takes place on a secured server on a project-specific virtual domain that you have 24/7 access to. Once completed, the remaining project balance is immediately due and payable. Upon final cleared payment the appropriate project files are transferred to you in the most fitting manner available. For website development projects, this is usually publication to your hosting account. At this time 29 Nails Productions does not offer hosting services. However, we do offer hosting consultations. Contact us for additional information. In order for development to begin, at minimum you need to furnish 29 Nails Productions with a signed contract and any required supporting documents, all content and materials desired for inclusion in your project, and a 50% project deposit. Depending on the specifics of your design and development needs additional information or materials may be required to commence work. You will be provided with a comprehensive list of required elements near the beginning of the process. Please keep in mind that the development process is fluid and during the course of a project additional information or materials may be required; this will almost certainly be true in the event that your project specs change after development has begun. In most instances, yes, expedited turn-around is available. Feasibility depends on a number of factors related to your project specifications so please contact us for additional information. Yes, maintenance services are available for both pre-existing websites and those we have built for you. Maintenance services are generally offered on a month-to-month basis, for a fee to be determined based on a number of factors related to the level of complexity of the website to be maintained as well as projected monthly workload to execute desired tasks. 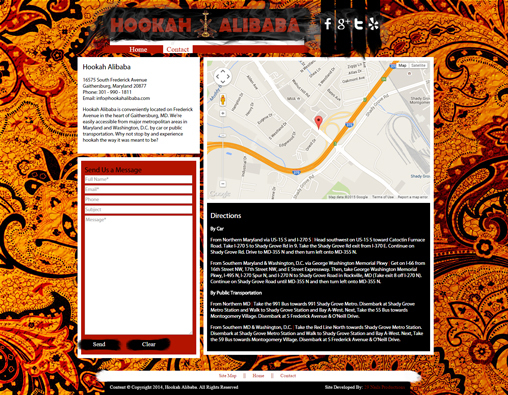 For more information please take a look at our terms of service or contact us for additional information. Project pricing is calculated on a per-project basis. Please contact us with your details on your development needs to request a quote. 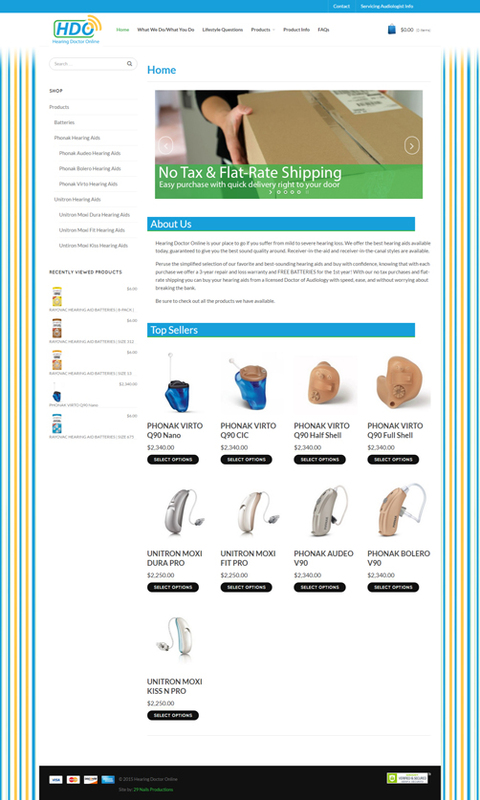 This is an online marketplace for top quality hearing aids and other assistive listening devices. 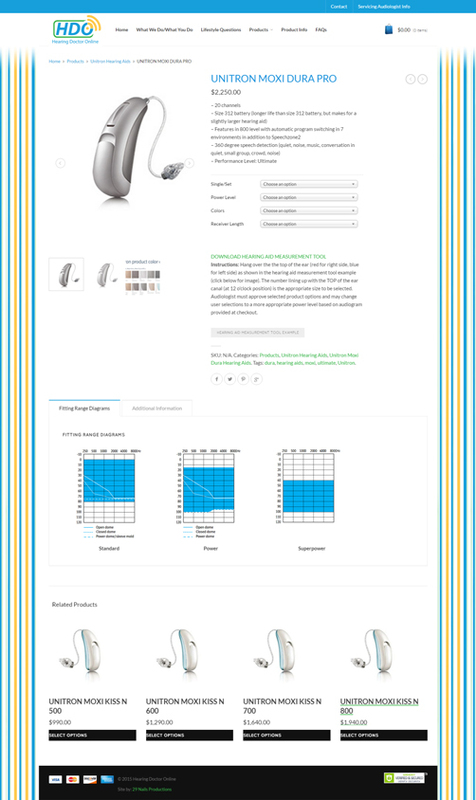 We developed Hearing Doctor Online with an eye towards whimsical modern design as well as simplicity and ease of use. Heavy customization of the base WordPress and WooCommerce platforms was employed to extend the capabilities of the system to fit client parameters. 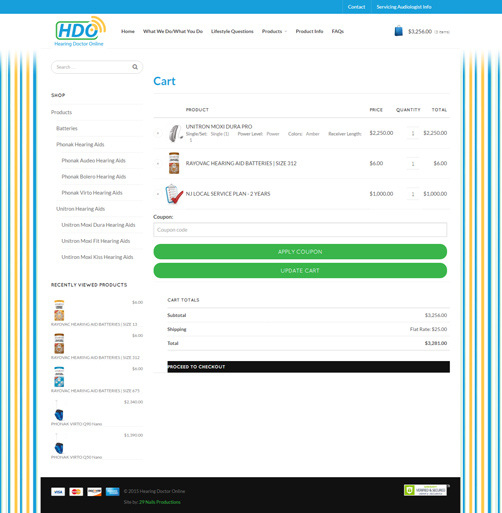 This includes the addition of a custom in-cart product addition and order-based file upload systems. 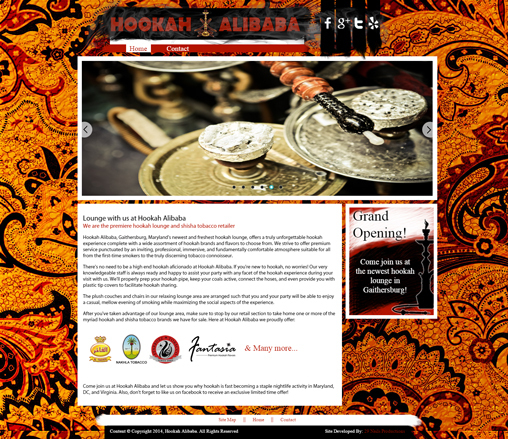 A promotional web presence for one of the leading hookah bars in the Gaithersburg, MD area, Hookah Alibaba was developed with with eastern sensibilities and the western nightlife scene in mind. 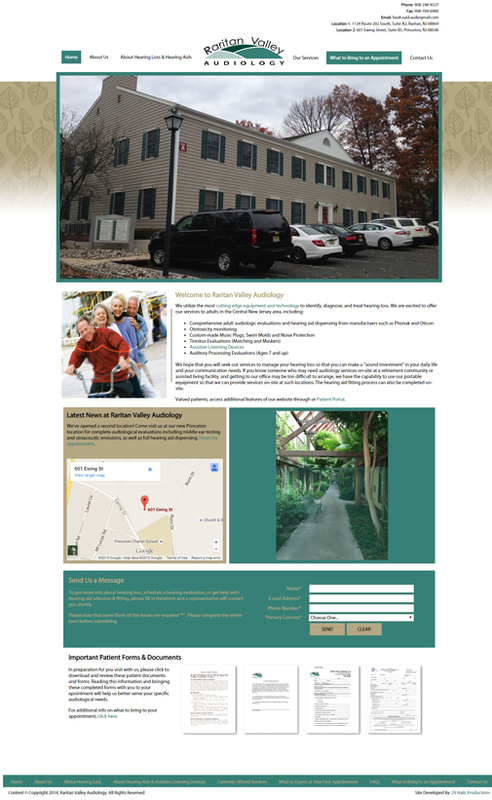 A fully custom build employing use of responsive design techniques, this website reaches the widest possible audience. 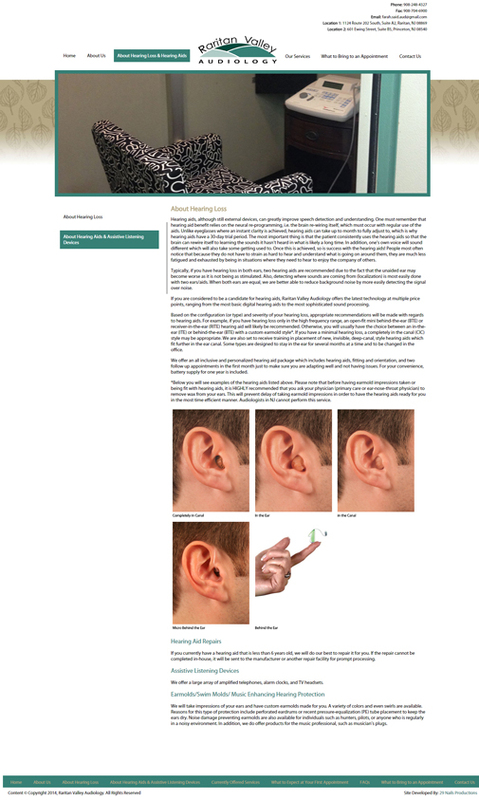 Designed and developed as a patient portal for a medical practice specializing in audiological care, Raritan Valley Audiology cleanly synergizes form and function. Offering a streamlined user experience without sacrificing aesthetics. Serving the Washington, DC metropolitan area, at 29 Nails Productions we offer myriad web and multi-media development services running the gamut from logo design to, ground up, full scale, full stack web application design, development, and administration.